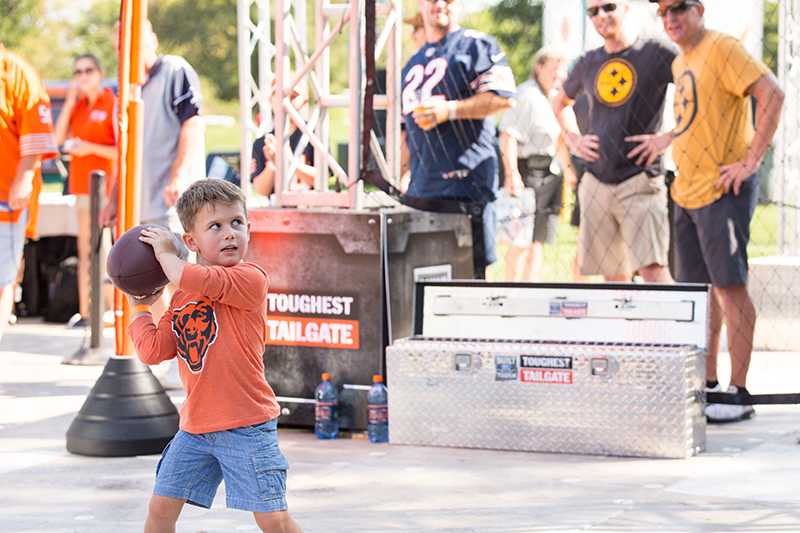 Tough Toughest Tailgate. 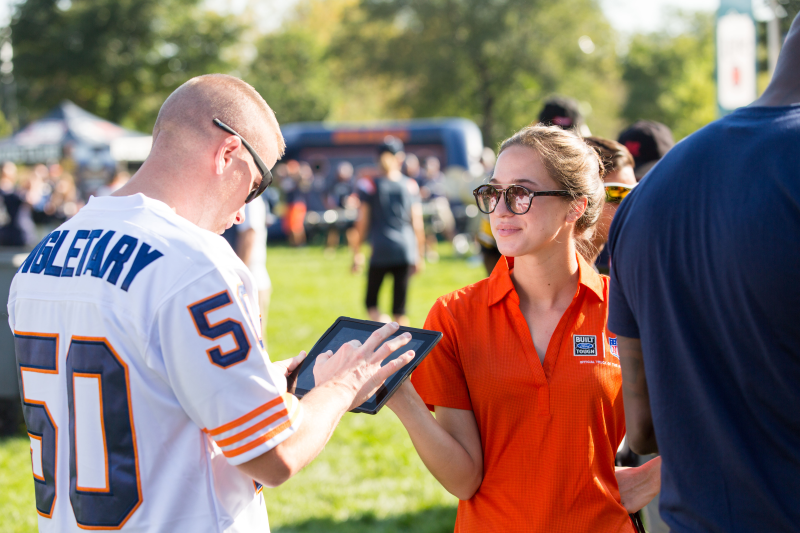 This stop on a multi-city tour took place during pregame tailgating before a Chicago Bears game against the Pittsburgh Steelers. 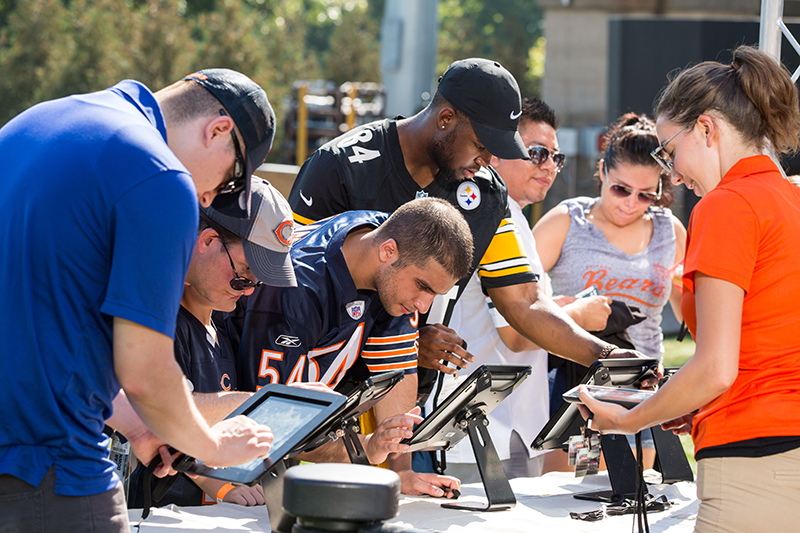 This activation brought together technology, football, and passionate NFL fans to create a unique, shareable and fun experience that drove high consumer engagement for Ford. 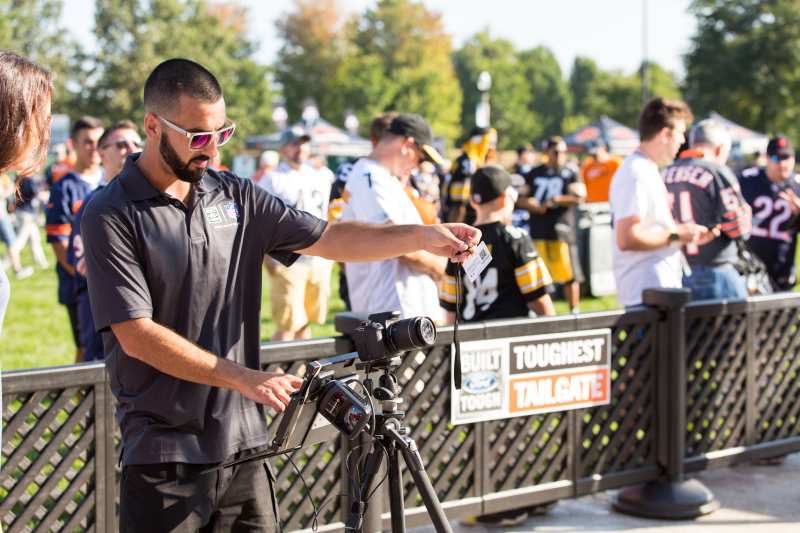 Upon arrival, consumers scanned their custom-branded lanyard and registered via iPad using eshots’ QuickCapture application. 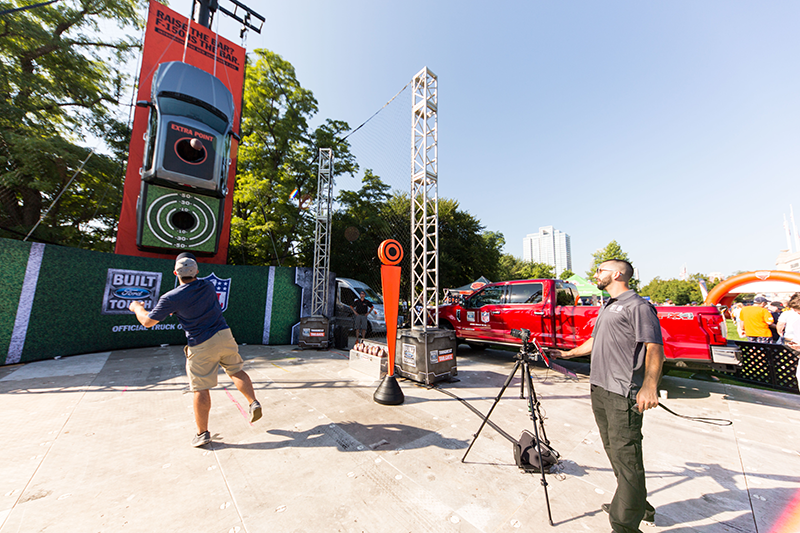 After registration, the consumer scanned their lanyard at the video station where they got the opportunity to try and throw a football through a target in the back of a Ford F-150 pickup truck which was hanging from its front bumper. 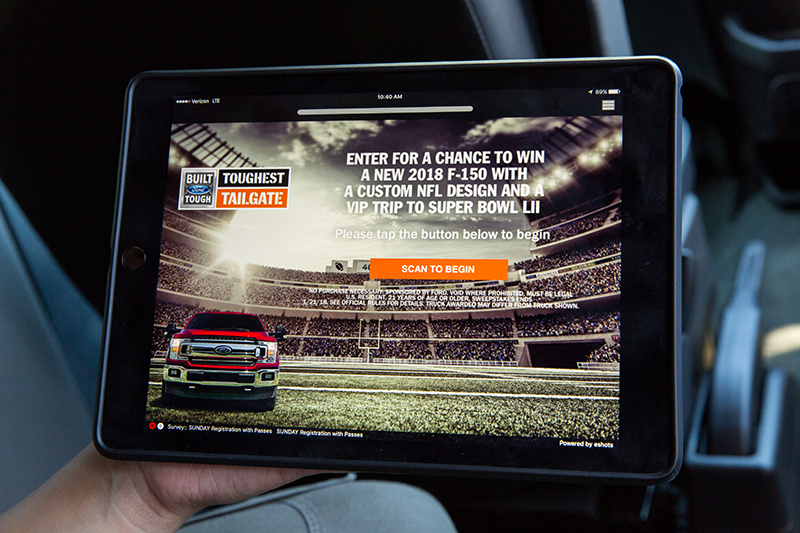 The experience was recorded in slow-motion and then a link was sent to our media retrieval microsite via email where the consumer could view the video and share it on social media. 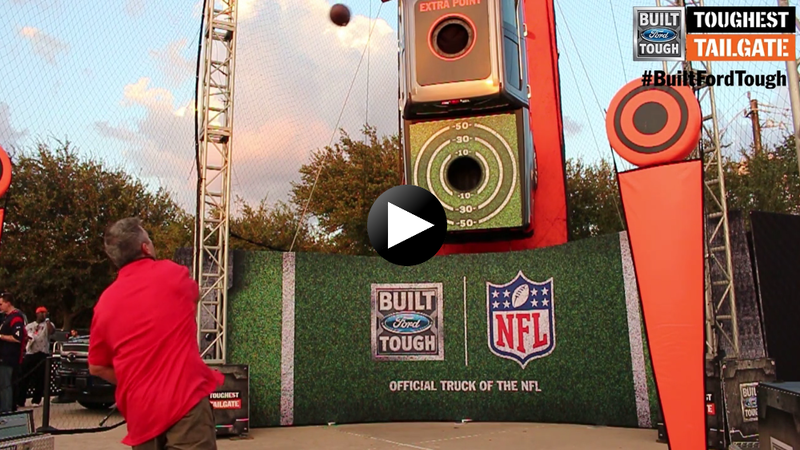 This activation brought together technology, games and passionate NFL fans to create a memorable, shareable and fun activation that drove high consumer engagement for Ford.